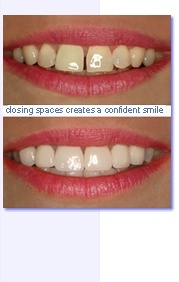 Understanding the Benefits of Veneers. Understanding How Veneers are Made. A mold of your tooth is taken to create a replica, whihc is then bonded right onto the surface of the existing tooth. For the bonding, a mild conditioning solution is applied to your tooth, and then a tooth-colored adhesive solution which keeps the veneer attached firmly. Understanding the Shelf Life of Veneers. Veneers can last for years, and can resist stains and chipping, but rely on the behavior of the patient. Good oral hygiene needs to be kept up, and awkward, extremely hard foods to be avoided. Of course, regular dental visits should be maintained. If you're north of San Diego: Receive the highest quality veneers in Los Angeles from the area's most experienced cosmetic dentist.